I suspect that many developers, especially ones starting with BizTalk, see mostly BizTalk through orchestrations and see much less the messaging aspects of it. The first thing to remember, not necessarily related specifically to this issue, is that you don't always have an orchestration. 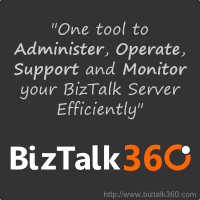 It is easy to forget, especially for someone who has been focused on them for a while, that BizTalk is very useful indeed without a single orchestration in sight. Personally I did many projects that barely used them, and still gained great benefits from BizTalk Server. There are many reasons to use orchestrations, but quite a few why not to as well. I guess that the obvious thumb rule is that unless you actually need a workflow, there's little to gain from an orchestration. The second point for promoting properties in a custom pipeline component is when you don't actually want to have a schema for the incoming message (a lot has been written on this, so I'll leave it as a statement only here) or indeed when the incoming message is not xml (and is not parsed to one); in both these cases you will need to have custom logic to determine what to promote, and how to promote it. I can think of a few more reasons, but the bottom line is that in many cases you do need (or want to, or should) to write custom pipeline components to promote information to the message context. Hi the link to the MS site is broken.